Crydom Vietnam trân trọng kính chào Quý khách! Crydom is the world leading manufacturer of Solid State Relays. We manufacture and sell two of the most renowned brands of solid state relays, Crydom and Crouzet. Our product offer includes thousands of catalog off-the-shelf items, as well as custom-designed solid state relays and related products. At Crydom virtually everything is accomplished in-house to assure complete control over production, delivery and above all quality. With design, development, manufacturing and management personnel under one roof, we’re geared for fast response to your requirements. Because of our dedication to quality, most Crydom products are approved by UL, CSA, VDE and TUV; and carry the CE mark signifying conformance with European directives. Some of our relays carry UL 508A SCCR ratings, proof of exceptional levels of performance and safety. Also, our products comply with the latest legal environmental directives, like RoHS and China RoHS which always provide a competitive advantage to our customers. Our ongoing R & D programs have allowed us for years to be leaders in our industry. 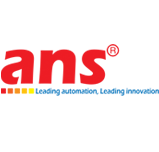 We are well known for constantly innovating new circuit and technology-related inventions to satisfy the switching needs of the most demanding applications. 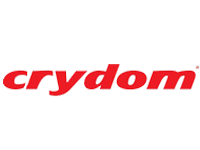 Crydom is a brand of Custom Sensors & Technologies (CST). Our more than 40 years of experience providing top notch switching solutions and support make Crydom the indisputable global expert in solid state relay technology and preferred choice of companies all over the world. © Copyright 2011 Crydom Vietnam, All right reserved.